What’s in your air? Find out with reliable indoor air quality testing in Dana Point CA from H2 Environmental. Did you know that the EPA considers indoor air pollution one of the top 5 environmental dangers in our world today? If you’re like the average American adult, you spend almost 90 percent of your day indoors, so you should definitely be concerned about the dirty air you could be breathing at home or at work. H2 Environmental can help you with the process of improving your indoor air, starting with our expert indoor air quality testing in Dana Point CA. Following your indoor air quality testing in Dana Point CA, we can help you create a personalized plan for achieving healthy air in your specific property. For instance, if your contaminants are being released by building materials, we can coordinate professional remediate services to eliminate asbestos, mold, and VOCs. 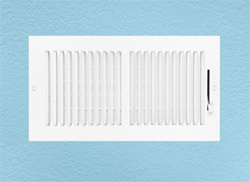 We can also recommend improvements in ventilation to deliver more fresh air, which will help reduce the concentration of allergens in your air. In any case, you can rely on the expert environmental consultants at H2 Environmental to recommend an appropriate and effective strategy to clean your indoor air. Take the first step towards a cleaner home or business environment now by dialing (800) 524-3578 to make an appointment for indoor air quality testing in Dana Point CA.